I swear, my skin has decided to revolt against me. It's ridiculous. Here we are, in the height of the holiday season when there are a million photos being taken, and my face decides to torture me. I'm not even slightly joking. It's horrid. The only solution at this point is to hide behind some heavy cosmetics. 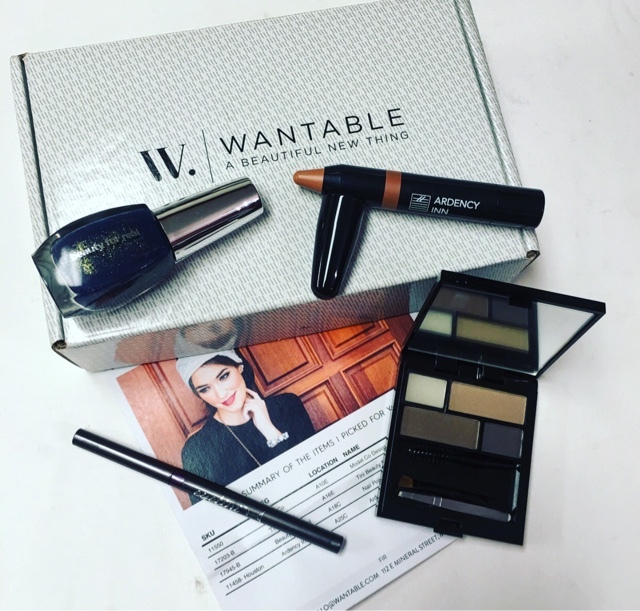 My December Wantable Makeup box could not have come at a more perfect time! I'm super excited at my first look. I tweaked my preferences a little because I got so many lip products last month so I'm happy with the product variety this time! Model Co. 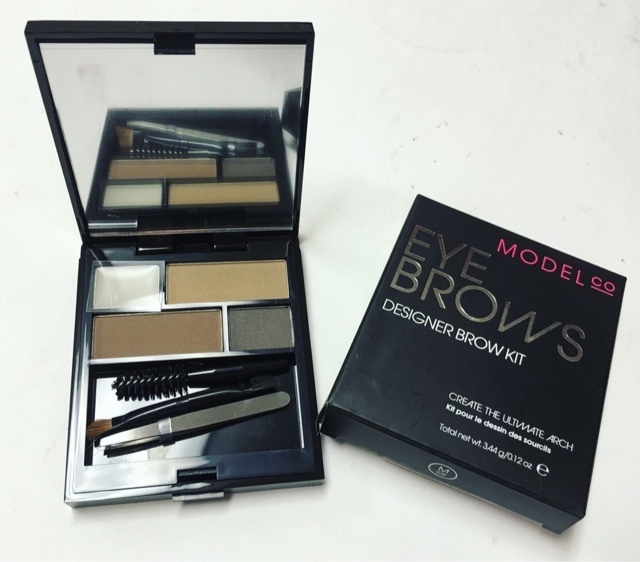 Designer Brow Kit --- I have always had one issue with my eyebrows. I was lucky enough to be born with a great brow shape that almost never gets a stray hair but that is overshadowed by the fact that my brows are s really light brown that tends to fade out against my skin. I love this kit and the shade variations and it works beautifully to solve my problem! 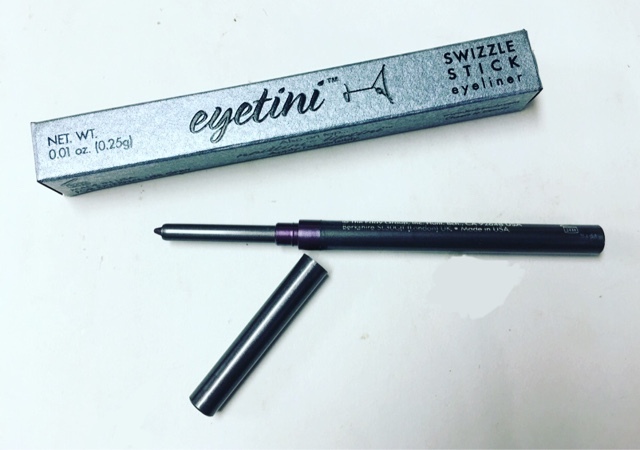 Eyetini Swizzle Stick Eyeliner --- I loooove purple eyeliner, especially when it's an automatic pencil. Love this on the waterline of my lower eye. 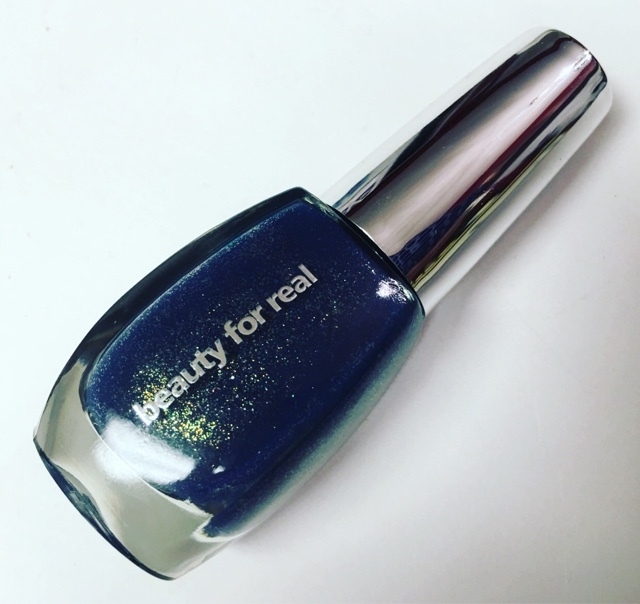 Beauty For Real Nail Polish --- YAY! Nail polish! I'm a huge polish junkie. I love the rich deep blue and the shimmer effect to it. The formula is great too. Dries quickly and is really chip resistant. 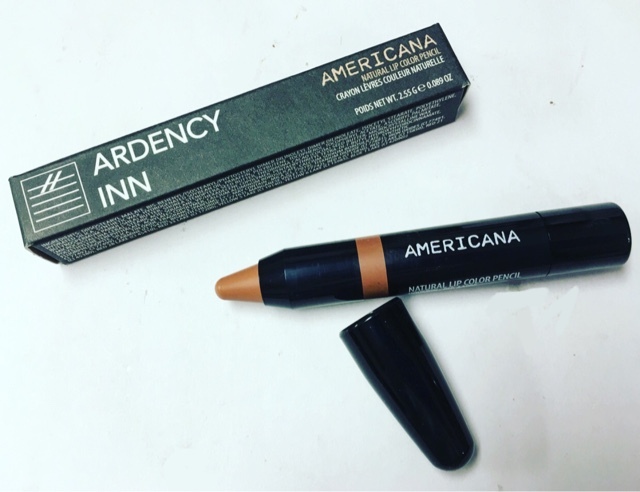 Ardency Inn Americana Lip Color --- this is one of my new favorite lip products! The color is subtle but still noticeable. The creamy formula glides on perfectly smooth for a beautiful natural look. 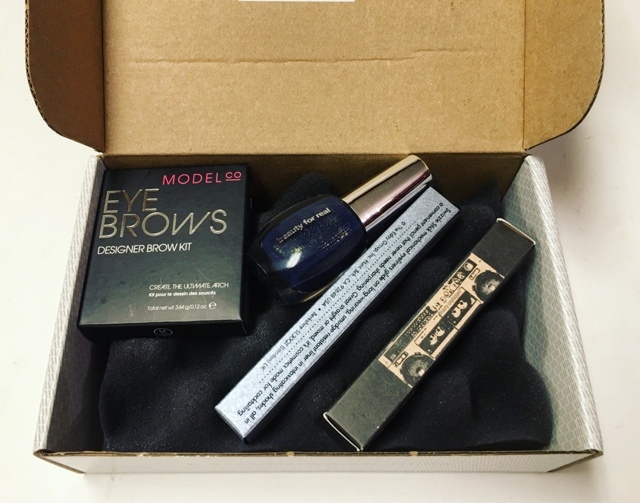 This months box was absolutely perfect! 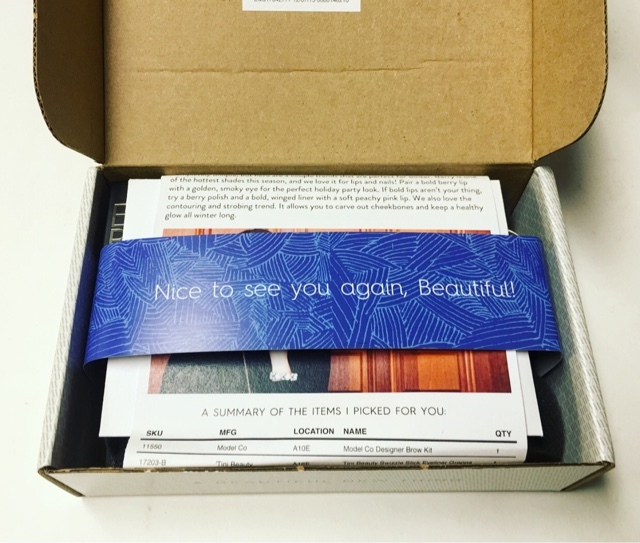 The variety in the products and shades I received was exactly what I was hoping for this time around. 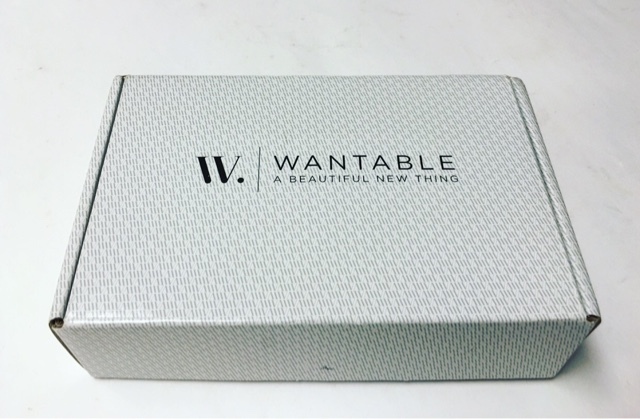 Another great curation from Wantable!